I read this article and found it very interesting, thought it might be something for you. 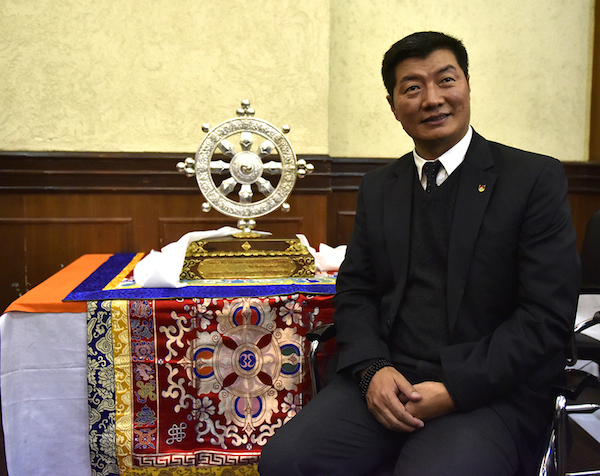 The article is called Full Transcript of Question and Answer Session with CTA President Dr Lobsang Sangay at Thank You India Press Conference in New Delhi and is located at https://tibet.net/2018/01/full-transcript-of-question-and-answer-with-cta-president-dr-lobsang-sangay-at-thank-you-india-press-conference-in-new-delhi/. (Asian Age Newspaper) Question: You have spoken about Chinese repression in Tibet. You have also said that Tibet has been under occupation for six to seven decades. How would you look at this in the light of the Dalai Lama’s statement that Tibetans are not seeking independence? So do you think Tibet is an occupied country and you are seeking independence from China or what exactly are you seeking? Could we have clarity on that? My second question is what happens after the current Dalai Lama resigns as the apex spiritual leader of Tibetan Buddhism? 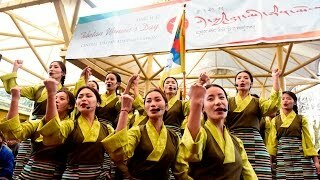 After the current Dalai Lama, has the Tibetans thought of a system to choose the next Dalai Lama? Sikyong: Historically, Tibet was an independent nation. You can go back to the 9th century. As per the treaty signed in 821, it clearly says that Tibetans will be happy in the great land of Tibet and the Chinese will be happy in the China signed by the representative of Chinese emperor and representative of the Tibetan king. Since then Tibet has its own judiciary, own tax system, own currency. 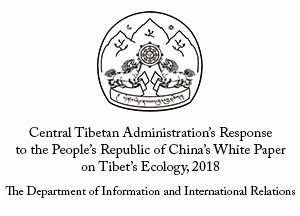 Till the occupation of Tibet in 1959, we use our own currency, our own postal system, not even a single case on Tibetan matter has been sent to a Chinese court. So, Tibet was a de facto and de jure independent country. There is no dispute about that. However, after coming under the occupation of China, the Chinese government says the sovereignty and territorial integrity cannot be negotiated. 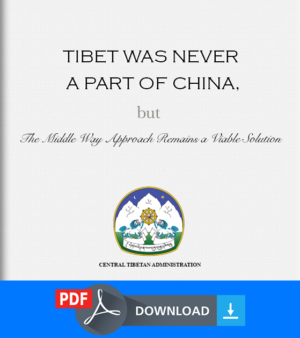 Hence, we say we will take that into account but give Tibetans genuine autonomy as per the constitution within China. That’s the Middle Way Approach. That’s the middle ground of Tibet under occupation and ending the repression of the Tibetan people. So, historically Tibet was independent. Now what we say is give genuine autonomy to the Tibetan people. So, what we seek is genuine autonomy. (Asian Age Newspaper) Question: Has the Central Tibetan Administration given up the demand for independence? Yes or No? Sikyong: Yes, in the sense that Tibet was independent but what we seek now is genuine autonomy as per Chinese laws. As far as His Holiness the Dalai Lama’s reincarnation is concerned, we must take into account that His Holiness the Dalai Lama is currently very healthy and he will live very long. As per many prophecies and our belief and prayers, he will live beyond a hundred. I know journalists keep asking this question what happens to the next Dalai Lama. Actually he has addressed that issue in 2011 where he has said that he could come in the form of reincarnation that means someone has to pass away and reborn, or selection, like the cardinals selecting the pope, high lamas will meet and select the next Dalai lama, or by emanation, that means the present Dalai Lama could designate his successor. So this is on the table. Not only have we thought through, there is a plan as well. Hence this process will take place. Now as far as China is concerned, what they say is rather odd. They say that they have the right to select the next Dalai Lama but not the Dalai Lama. So, isn’t that odd? Given the track record of the Communist Chinese government, they have destroyed 98% of the monasteries, disrobed 99% of the nuns and monks. So, their track record is very bad as far as religious freedom is concerned and preservation of Tibetan Buddhism is concerned. So it’s for His Holiness the Dalai Lama to decide who will be the next Dalai Lama. (Samvadh Sindhi Newspaper) Question: As you said you are still refugees in India. You are part of the Indian system; you have Aadhaar card and everything. So why do you want to thank India as you are still in India. You are not going anywhere. Sikyong: As far as our tradition is concerned, and His Holiness the Dalai Lama also advises us to keep your old friends, and make new friends. Don’t keep making new friends and forget your old friends. So our values are very grateful values that we have. You should always remember your old friends who have been with you. Even among friends, family or couples, its good to say thank you to your wife or friends from time to time. So hence, this is what we are doing. We have been in India and no country has done more for Tibet than this great country. And from time to time, it’s very important to say thank you. And we do it with all sincerity and the reasons that we already gave you. Hence, this is our value. We should always be thankful to our friends and specially our dear ones. We must have occasion to celebrate it and take part in all the major events that were listed today. So, yes we are still here but it’s a reminder to us that we are here till the Tibet issue is solved and we are grateful to the government and people of India. (Samvadh Sindhi newspaper )Question: Are you going to meet the prime minister and ask him to attend any one of your programs? Sikyong: This is a gift that we have. The wheel of Universal Truth, it is from the ASHOK CHAKRA . This symbol holds a lot of deep meaning. We will be presenting this to the government of India. So His Holiness the Dalai Lama will be here on 31 March at Rajghat where there will be an interfaith prayer. We will invite all the leaders of the major religious traditions and we will be presenting the souvenir to all of them. So whoever accepts it, we will be presenting. So definitely, we will welcome and it will be a honour for us if any one from the government comes. But again, His Holiness the Dalai Lama says this is the value that we follow. We don’t want to cause any inconvenience to anyone. So, we will present the gift to anyone who will come and receive it. We are hopeful that someone form the government and connected to the government will come. 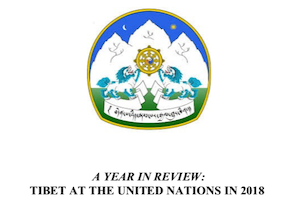 We just marked the 80th birthday celebration of His Holiness the Dalai Lama in 2015. During the celebration, the minister of Culture Dr Mahesh Sharma and Shir Kiren Rjiju, a very close friend of the Tibetan people, minister of state for Home affairs also came. So we are very hopeful that someone from the government will come. And yes we would like to thank Prime Minister Modi ji and his cabinet members and the government. We would also like to thank all the opposition party members including congress party for all the support rendered so far. (Law and Business Review) Question: You said you are practicing Gandhian form of non-violence. What is wrong with the Buddhist way of non-violence and how different is it from the Buddhist form of non-violence? Sikyong: I think both are the same. We follow Gandhian Ahimsa. If you read Mahatma Gandhi’s teachings and speeches, he is greatly influenced by Buddhism as well. Ahimsa has become a universal term now. Ahimsa is associated with non-violence. We don’t want to take the ownership and say that the ahimsa that we follow is Buddhist ahimsa, we just want to say Gandhian ahimsa because Gandhian ahimsa has become a universal term and universal concept. So we are subscribing to that notion. As Buddhists, the non-violence that we practice will be a Buddhist way of Non violence. This is part of thank you India programme. We are being inclusive and sharing. (Buddhist Times) Question On what ground, did you caution China? There was a report that you have cautioned India against China? Why? What was the reason? Sikyong: What I have said is, when Tibet was occupied in 1950’s, all the neighboring nations including India didn’t do much. Of course there was leaders like Vallabhai Patel who cautioned and said we have to be careful while dealing with China. It is Tibet now but it could be us later. Not many leaders followed that advice. We have been saying it for the last 60 years. After the occupation of Tibet, this is not the end. This is just the beginning. Chinese leaders themselves have said. Tibet is the palm. Once they occupy the palm they must go after the five fingers. The five fingers are Sikkim, Bhutan, Nepal, Ladakh and Arunachal Pradesh. Not just the five fingers, between the five fingers there are spaces. That’s Himachal Pradesh, Uttarakhand, etc. Hence, since 2010, the incursion from the Chinese border has increased manifold. Doklam is just one of the symptoms. Indian and China are the two largest populated countries in the world. As far as Tibet is concerned, We want to see India have good relations with all its neighbors and the world including China and hence India and China has a complex and multilayered relationship, they should have good relations. But India should also be careful. Because already Doklam has happened, This morning, I saw on the news China is installing some permanent set ups in Doklam. And then there is the issue with Nepal. Nepal is the only other Hindu country in the world and there is a little bit more China leaning government there. So if you look at all the neighbors of India, there is a lot China influence. So it’s only natural that I nudge my host and tell them to be careful. Sixty years ago, we lost our country; we don’t want to see other countries, other places suffer the same consequences. (Samvadh Sindhi Newspaper) Question: How can you identify yourselves as refugees. You have Aadhaar card, you are part of the system. Are you seeking a special status form the Indian government? Do you want more from India? Sikyong: Technically we are still refugees. If you count the 60 million refugees worldwide, we will be counted as refugees in that list. But among the sixty million refugees, we are doing pretty well, thanks to India. Indian government has done a lot for us. Our education, our lands have all been subsidized by the government. Indian government has done a lot. So, do we want more? May be a little bit. As a guest, we can hope for a little bit more. As I said, India can do a little more on the political side. India can make Tibet a core issue between the Sino-Indian bilateral talks. India can put Tibet on the table and have a discussion on the issue. India’s security is partly dependent on the situation in Tibet. When Tibet was an independent country, there was no border incursion. Thousands of Indian troop stationed on the border was not needed. Billions of dollars that is spent on weekly monthly basis, India can spend it on education or social welfare. This was not necessary. And also the two countries of Tibet and India is connected spiritually. Mount Kailash and Lake Mansarover are in Tibet. Now that you raised the issue of refugees, we also give refuge to Lord Shiva in Tibet. So, jai Bholenath. (Asahi Shimbun, Japanese newspaper) Question: There is an intelligence report that China is recruiting unemployed Tibetan youth to spy on India. 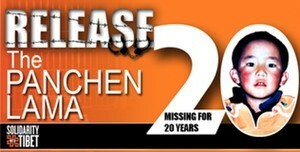 This issue was raised by His Holiness when he visited Arunachal as well. 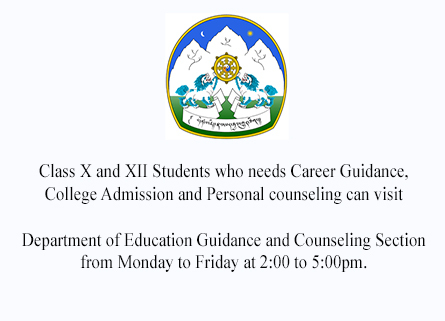 There is rising unemployment in the Tibetan community. And there is intelligence report that China might try to exploit it by paying disgruntled youth to spy against India. As prime minister in exile, do you see it as a concern? Can you give it a figure if there is indeed rising unemployment among the Tibetan youth? Sikyong: India is a country with 1.3 billion population. So, there is an employment issue. Tibetans are just a small part of it. some Tibetans are also facing unemployment because we are part of the same system. I read the report about IB suspecting some Tibetans may be spying for China. But that is part of the same spy/espionage exercise. Obviously, India may be trying to recruit people in China; China may be trying to recruit people in India. So, it’s part of the process. But Tibetans in general will not be bought that easily. And if there are any who is doing it, we condemn it. We just say; we are thankful to India, don’t do anything against India. Even though this is just a report that we read. We don’t know for sure but we would like to believe that there is zero possibility. But this is part of the process. There will always be some bad potatoes in the community. (Asian Age Newspaper) Question: What is the current status of the talks between CTA and China? Is there any talks taking place or is there any back channel going on? Sikyong: If you go by the history of talks, the Tibetan delegation including of CTA went to China and Tibet. And then the second time, from 2002 to 2010, the envoys of the Dalai Lama did meet the representatives of China for nine rounds of formal dialogue. But there was no breakthrough. So it ended in January 2010. So for eight years, there is no dialogue. So we would like to see the envoys of the Dalai Lama meet their Chinese counterparts to solve the issue of Tibet peacefully. So there is no formal dialogue. Back channel is a complicated definition. As His Holiness the Dalai Lama says, we are transparent. 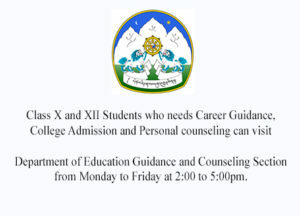 Any Chinese who want to come to Dharamshala and talk to us, we are willing to share all the information that they want to know. (Sunday Guardian Newspaper) Question: You have said that China wants to be the no.1. You have agreed that China has this expansionist ambition and you have also clarified today that Tibet is not looking for independence but genuine autonomy. Following up, you also said India should have good relations with China because that is important for regional peace and security of the continent. My question to you now is, the only way to have good relations with China is to agree to their demands? Because that is what it seems to be the case with Tibet here? I mean in general, the only way one can be a good friend with China is to agree to that they say? Is that the only way? Sikyong: You are a good journalist because all the points that I said you connected and put it into a question. As a Tibetan, I will obviously say if you solve the issue of Tibet, you will have good relations between India and Tibet. But generally it’s true. Xi Jinping and other Chinese leaders have said that the stability and security of China is dependent on stability and security of Tibet. For China, it’s that important. For India also, the Pakistan border issue is very small. The border that India shares with China, which is actually Tibetan border is 3000 kms long. So stability and security of China is dependent on that Himalayan region. More incursions are taking place from that area. So, before Tibet served as a buffer zone between these two big nations. Both the countries didn’t have to worry about border security. Now both are worried. The border is so long, you think unless I make some incursions into the other side, the other side will incur into your area. So based on this mistrust and suspicion, you get into this act. So its clear that the major reasons for this mistrust and suspicion is the long border. So both sides have to address this. China has occupied Tibet. And India has the only legitimacy and credibility to speak about Tibet. If you go back, in 1914 the Shimla convention took place and the Shimla agreement was signed between British India and the prime minister of the Tibetan government Lonchen Shatra. Now on the sidelines of the Shimla convention, a border agreement was singed. Tibet was represented by its Prime Minister Lochen Shatra and British India was represented by Sir Henry McMahon. Now India says the McMahon line is the preferred border. If India wants McMahon line to be the preferred border, the signatory to the treaty is the Tibetan Prime Minister, not Chinese prime minister. So we have a claim or owner ship of that treaty. And also on the sidelines, a trade agreement was signed. If you look at the panchsheel, the body of the panchsheel trade route and tax and all that in preamble, India and China agreed to put five points and call it panchsheel. But its actually a trade agreement. The trade agreement was supposed to be renewed every 10 years, 1914 – 24, 34, till 1944, it was renewed between Tibet and India. But in 1954, Pundit Nehru though they will rebew it with Beijing and sent a delegation to China. After several months, they came back and called it Panchsheel. Its only the preamble but the body is still trade. India wanted the Panchsheel to last 25 years, Chian wanted it to last 5 years. They negotiated a lot and in the end they agreed on five years, that’s why I say India has to be careful Because after five years in 1959, what happened was Tibet was occupied and His Holiness the Dalai Lama has to flee Lhasa on 17 March and enter India on 31 March 1959. After eight years, the 1962 Sino-Indian war took place. So when Panchsheel was singed, the occupation of Tibet and 1962 war was put in there. So you are signing a peace treaty (Panchsheel) but the plan for war and occupation was already planted there. So there are so many reasons why we must address this issue. If you address this issue, a major part of India’s issue can be addressed as well. (Asian age Newspaper) Question: Now that you are going back sixty years tracing the roots of your flight from Tibet to India, can i ask you that the decision taken by India several decades ago to acknowledge Tibet was part of the People’s Republic of China, do you consider that to be a historical mistake? Because the Chinese argument is that if Tibet is part of China, then Arunachal which they call South Tibet also belong to China.So, do you consider the Indian decision taken several decades ago to acknowledge Tibet was part of China to be a historical mistake? Sikyong: That was not the language. I think there are several versions. The most cited version is that Tibet is an autonomous region of the People’s Republic of China. As far as the historical status is concerned, Tibet was an independent country. Any country including India or whoever says Tibet was historically a part of China is wrong, That we cannot accept. One should look at the debates that took place in the 1950s and 60s. Really, there were a lot of great Indian leaders like Sardar Patel who contributed a lot of wisdom into the discussion. There was a lot of foresight. The expansionist design that we are talking about now was very much in the discussion. The parliament openly talked about it and said Tibet is just the beginning and then it will be us. So, that’s what we say now. Sixty years is still not too late. When i travel around the world, it began sixty years ago and you never said anything. Now it ends with you. So, definitely this is the expansionist design that we are talking about and it’s coming. So, historically, Tibet was an independent country. Anyone who says otherwise is wrong. Sikyong: Thank you very much. We just want to convey to all our brothers and sisters in India through this Thank You India campaign that we are very grateful and thankful. 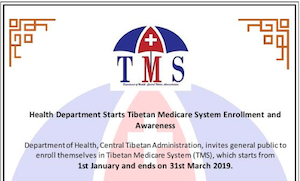 Tibetans in all the settlements, young and old, will be participating. 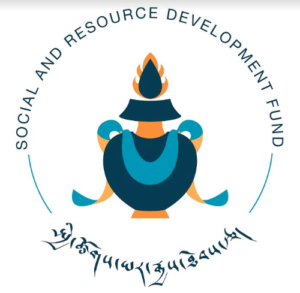 We have been part of the family and we will make our presence felt in a very good manner based on Tibetan values and traditions.